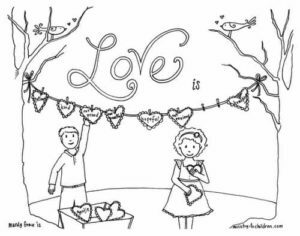 You will love these free Valentines day coloring pages. Simply click on the image previews below to direct download in print-friendly PDF format. The first three options are safe for public school teachers too (they can be used in both non-religious or Christian classrooms). 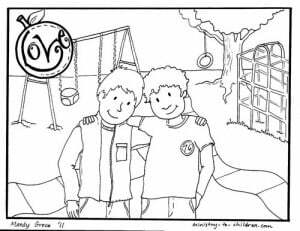 “L” is for Love comes from our Bible Alphabet series. “Love is…” comes from our Bible memory verse series. Love …. is from our Fruit of the Spirit series. 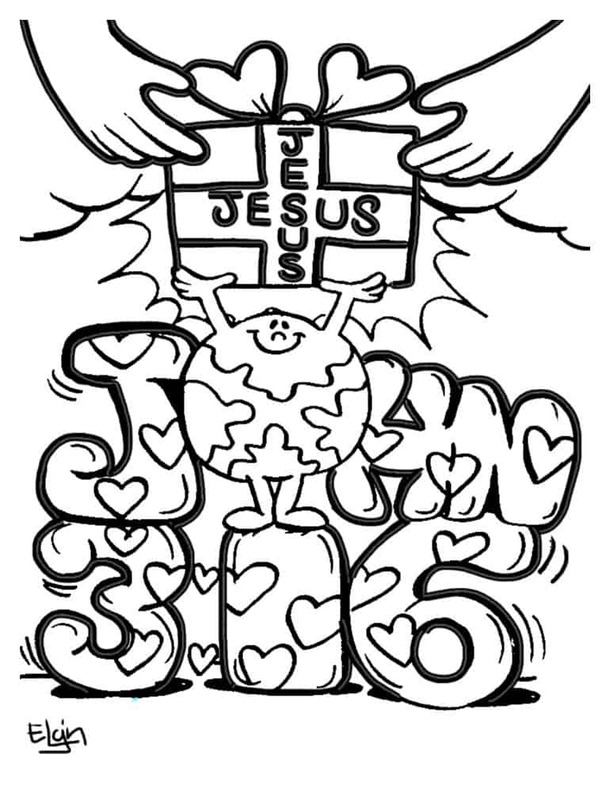 John 3:16 heart is a special coloring sheet we created for Valentine’s day. 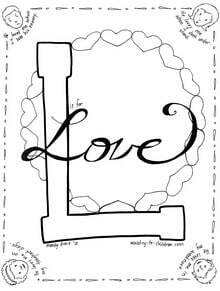 Mark 12:30 coloring pages says love God with all your heart, soul, might. 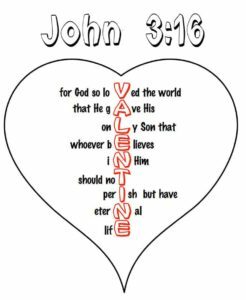 Use these free printables with your children to relate Valentine’s day back to God’s love. They were created by Elgin Bolling, a professional illustrator and sketch artist from New York City. 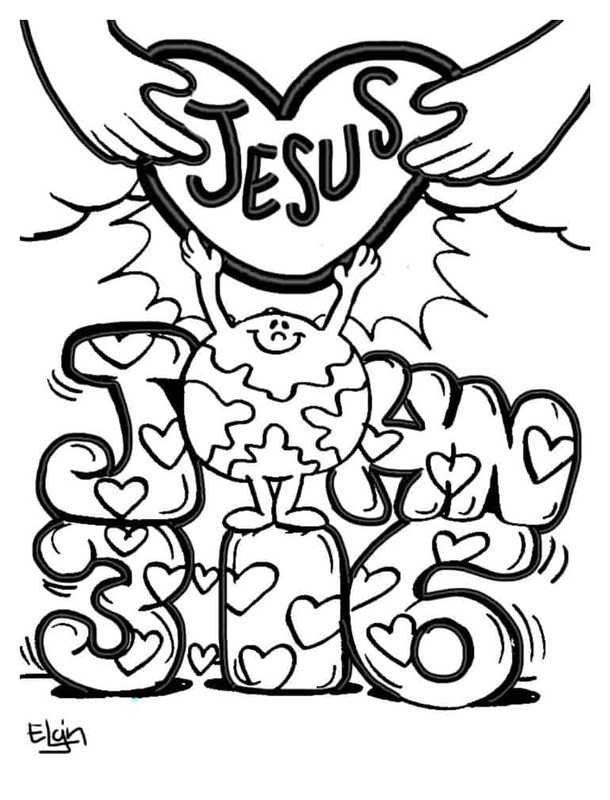 Like all our materials, these coloring sheets are 100% free to use in your church, home, or school. Don’t miss our other free resource for teaching about God’s love on Valentine’s day. 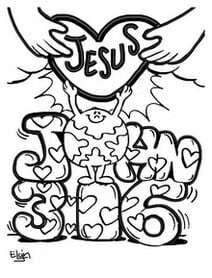 We also have a growing collection of Christian coloring pages that are free and easy to download or print. Our God is a consuming fire, thus the fiery color hands. The clouds where the hands KF could resend from represents heaven, his throne. Red symbolizes the blood Christ shed as well as the traditional red color of valentines day, and the heart. The box is purple, the color of royalty, symbolizing Christ as King. The Yellow rays symbolize his power, anointing, and divinity. It also points to the scripture that Jesus is the light of the world, and wants us, who receive him to be children of that light. The john three sixteen is Green, symbolizing growth and progression in the things of God, and our growing in Grace and knowledge of our Lord and savior. The globe, is obviously the world, who The father gives the Gift of Christ to many as would receive him,the globe is standing on the word of God, therefore is able to access the gift if God. Finally the ground is purple, again the color of Royalty upon which the Word, which is Holy is established. It is literally Holy Ground. 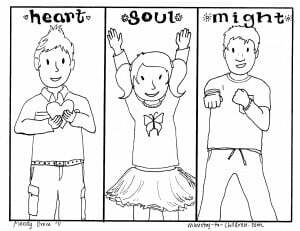 I have been using your lessons and coloring pages in my childrens church for the past 6 years and it has been a wonderful tool for me. Thank you.